Bollywood actress Sonam Kapoor is a diva par excellence and there can not be any doubt regarding that. Sonam Kapoor’s life is full of passion and Entertainment and after her marriage with Anand Ahuja, Sonam is going through a wonderful phase. 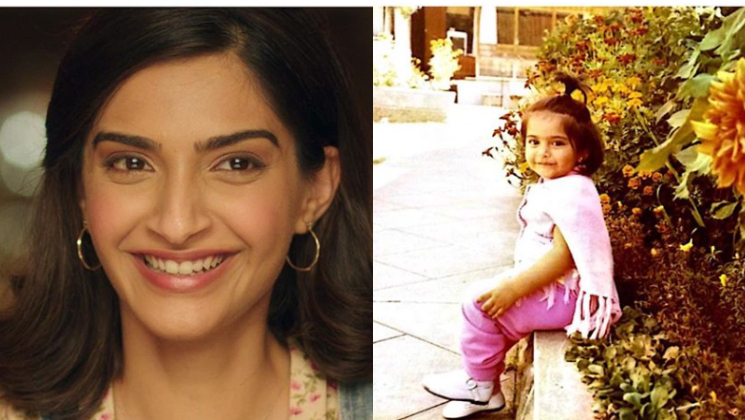 Sonam Kapoor has come a long way as an actress and after her smashing performance in ‘Neerja’ and then followed up with ‘Veere Di Wedding’. The film showed a different side of feminism and the performances of Kareena Kapoor Khan, Swara Bhasker and Shikha Talsania were top notch. Sonam is also known as a fashionista and proud feminist and always championed for equal fair treatment. The feisty actress is also very vocal on social issues as well. On the work front, Sonam Kapoor will be next seen in ‘The Zoya Factor’ and ‘Ek Ladki Ko Dekha Toh Aisa Laga’. The actress certainly has lot going for her and by sharing this throwback photo is so adorable. It also says that, sometimes we take things too seriously and forget to enjoy simple things in life.